Merit’s award winning safety program is a valuable asset to our entire organization. Merit has been awarded the Associated General Contractors Construction Safety Excellence Award in 2003, 2005, 2007, 2009, 2012, and 2015 in the State of Tennessee for the outstanding results achieved by our safety program. 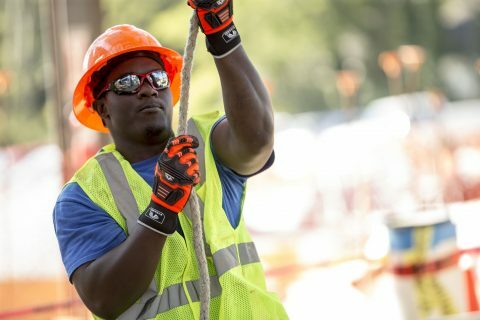 Safety is a key element to Merit Construction, Inc. projects and therefore it is imperative that the tone is set early for safe, efficient, and productive jobsites. Merit establishes safety requirements early in the process by reviewing and qualifying all subcontractors bidding on the trade packages by reviewing their current and past safety record, job performance, financial stability, and current workload. Merit’s full-time Safety Director, Rebecca Phillips, is responsible for all aspects of safety training for our valued employees and safety over-site on all Merit construction sites. Safety skilled supervisors drive day-to-day activities while utilizing a safety focus. 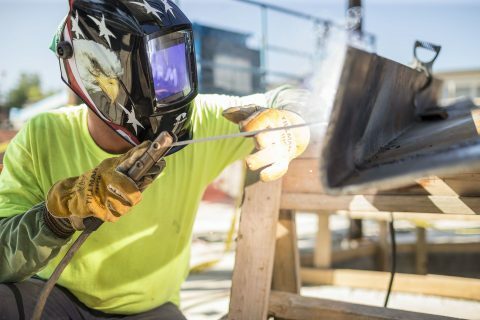 The safety director makes regular unannounced visits to the jobsites to ensure that all personnel on a Merit job are working safely and safety equipment needs are in place. Pre-construction orientation meetings are conducted for all trades on the project. Safety issues will be discussed to create a better understanding of what is expected from everyone working on the construction site. Once a week, all construction workers are assembled for a “safety briefing” which is directly related to the job’s current phase of construction. These planning sessions are led by Merit’s Superintendent and include job hazard analysis and upcoming critical tasks on the construction schedule. Merit Construction is very active within the East Tennessee Chapter of the Associated General Contractors (AGC). Teaming up with this valuable source for added safety training and safety materials provides that extra knowledge keeping Merit’s safety initiative at the top of its game. The AGC employs a full-time safety manager available to support our project superint endents and safety director when needs arise. Merit’s current Experience Modification Ratio (EMR) is one of the best in the industry. OSHA 300 log and most current EMR are available upon request.